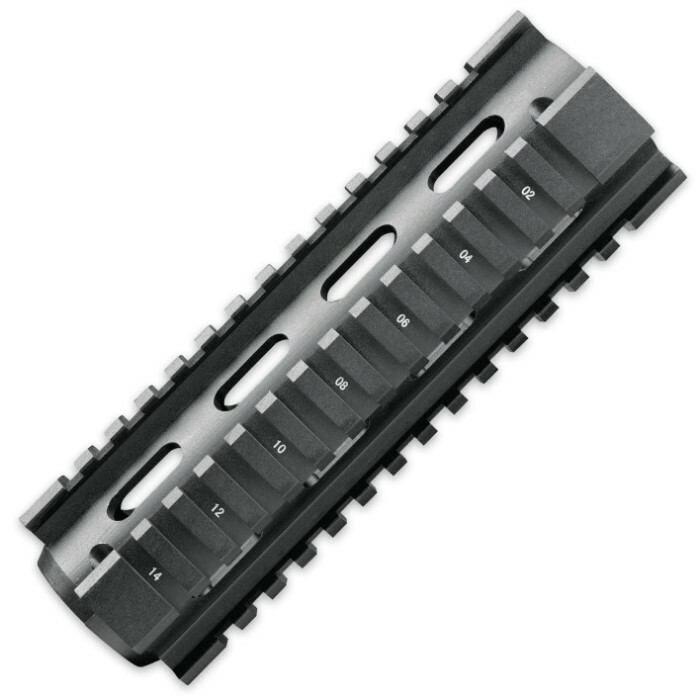 M4 Handguard Quad Rail - Carbine Length | BUDK.com - Knives & Swords At The Lowest Prices! The M4 carbine length drop-in quad rail is an easy to install upgrade for the basic carbine. It’s made of black anodized aircraft grade aluminum and is compatible with most direct impingement gas systems. When installing the two-piece design, no gunsmithing is required. The rails accept all standard Weaver/Picatinny 1913 accessories. You may need to turn your castle nut slightly for it to align with the Gas block but if you do this it will function just as good as a $200 competitor, and it looks Great!